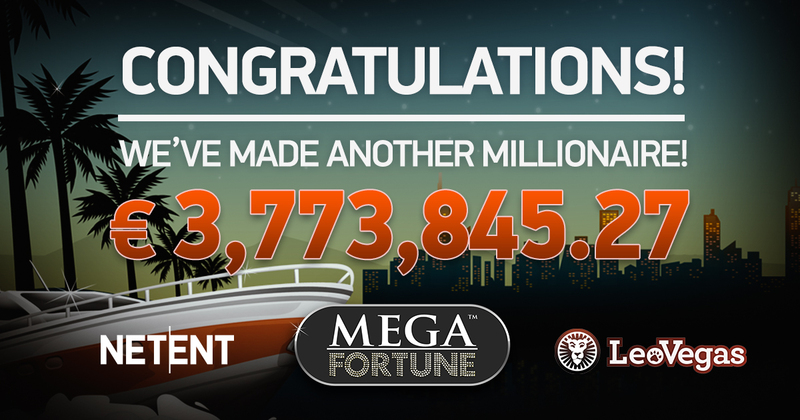 NetEnt, leading provider of digital gaming solutions, has continued its jackpot hot-streak after another lucky player from Sweden dropped a massive win when €3,773,845.27 was collected while playing Mega Fortune™ on LeoVegas casino. The winner from Sweden had staked just €4.80 before going on to take the €3.7m jackpot on NetEnt’s popular jackpot game Mega Fortune™ in early May. This latest big win showcases that NetEnt continues to lead the way in jackpot games with a massive 5 millionaire-making jackpots dropping in 2018 alone, paying out an astonishing €19,799,183 so far this year. Henrik Fagerlund, Chief Product Officer of NetEnt, said: “The jackpots just keep on coming and we’re happy to see another player scoop a life-changing amount of money while playing our games.